One of the main reasons you should always hire an experienced concrete contractor is the toll winter can take. Poorly installed concrete will almost always fall prey to cracking or even crumbling. Decorative concrete can be at an even higher risk of this type of damage. Help your concrete skip the winter blues by always hiring a professional to install yours. To salt or not to salt? The only answer to this question is no! 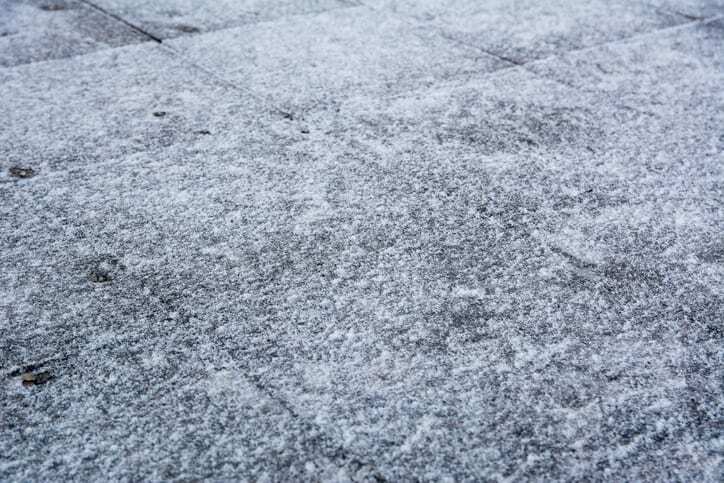 While you’ll want to add traction to the surface of your decorative concrete during snow or ice storms, salt can damage its integrity. Use sand instead, which will deliver the same results without the damage. Sealing is one of the best ways to defend your decorative concrete from the harsh elements of winter. This will create an invisible barrier against winter’s fiercest weather. For more advice on how to protect your decorative concrete from bad weather, talk to GW Brockelbank Concrete Contractors. We’ll help you keep your investment looking great all year long!